Introduction: Mining executive, Business Innovator, Financier, Philanthropist and Author are all terms that accurately describe Pierre Lassonde and provide strong justification for his selection as a recipient of the Mining and Metallurgical Society of America’s Gold Medal. Pierre is a living legend in the world of mining leadership and corporate finance; he is a tireless and visionary supporter of education on many levels. From De Re Metallica, - page 369, 2nd paragraph. Doesn't this sound like an instruction manual from Ikea? Mining Career: Pierre Lassonde is recognized as one of North America’s foremost mining executives as well as precious metals fund managers. He began his career following graduation with degrees in electrical engineering (BSc) and an MBA with Bechtel engineers in San Francisco. In 1980 he joined up with Ned Goodman at Beutel Goodman & Company, serving for decade as President of its very successful gold investment fund. Along the way he met up with Seymour Schulich and together they founded Franco-Nevada Corporation and a sister company, Euro-Nevada Corporation in 1982. Over a twenty-year timeframe Franco-Nevada generated an annualized 36% return for its investors. In addition, Pierre authored the well-recognized investor’s guide, The Gold Book, in 1990. With all of this completed, his greatest accomplishments were yet in the future. With Franco-Nevada holding ownership in several operating gold mines and royalty interests in other mines and attractive exploration projects in Nevada and world-wide, he orchestrated sequential consolidations of Franco-Nevada with Euro-Nevada and with Australia’s Normandy Resources, creating a formidable world player. Then in February, 2002 he merged the enlarged Franco-Nevada with Newmont Mining Corporation, forming at that time the largest gold producer in the world and 6th largest mining company in the world. Pierre Lassonde was the President of Newmont for several years, moving to the position of Vice Chairman in 2007. In 2008, Lassonde together with a group of former associates and investors re-established Franco-Nevada Corporation, acquired the royalty portfolio from Newmont and others, and brought the company back to the TSX as the largest royalty company and its Chairman. Today the market capitalization of Franco-Nevada is nearly $ 13 Billion! Educator and Philanthropist: Pierre Lassonde is also a philanthropist in the areas of education, health and social services. His support for education is evidenced by his contributions to several universities both in the United States and Canada. Pierre is remembered for his studies and endowments at the University of Utah, where he and his late wife Claudette MacKay-Lassonde attended graduate school. He was in the business college while she earned a M.Sc. in nuclear engineering. In her memory he established the Lassonde New Venture Development Centre in 2000, merging their respective interests and degrees from that university to form a place where business and engineering students could work jointly to turn ideas into marketable products. In 2006 Pierre made a $13.25 M donation to the University of Utah to establish the largest entrepreneurial centre in the US, the Pierre Lassonde Entrepreneur Centre. This Centre includes the existing business programs and added the Utah Entrepreneur Challenge, Opportunity Quest, a Speaker Series, and the “Launch Pad” to provide students with hands-on experience and innovative management opportunities. At the University of Toronto Pierre established the Lassonde Chair in Mining Engineering in 1996, the Lassonde Mineral Engineering Program and the Lassonde Institute for Engineering Geosciences in 2000 as an international centre of excellence. 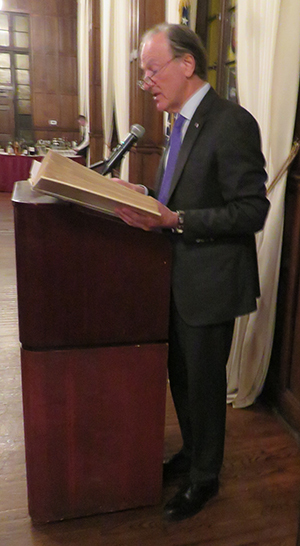 He was elected an Honorary Member of the University of Toronto Engineering Alumni Association. In recent times Pierre donated $25 M to York University in Toronto to expand the School of Engineering and establish the Lassonde School of Engineering with the goal to develop one of the most dynamic and forward-thinking global engineering programs anywhere. This gift to York University is the single most important contributions in the history of the school. 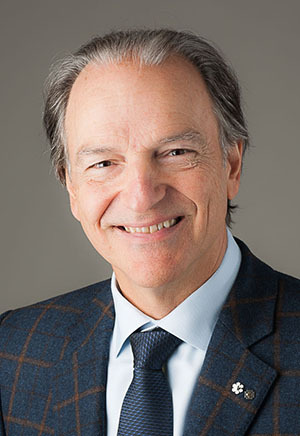 In addition, Pierre Lassonde also contributed to his first university, by contributing $8 M to the Ecole Polytechnique de Montreal, creating two new buildings: the Claudette MacKay-Lassonde and the Pierre Lassonde Pavilions for their engineering programs. Pierre Lassonde served as Chairman of the World Gold Council 2005 to 2009, and continues to serve as the Chairman of the Quebec National Art Museum (2005 – present). Born in 1947 in Saint-Hyacinthe, Quebec, Pierre seems to have been an eternal student by earning a BA from the University of Montreal in 1967, and then studied at the Ecole Polytechnique de Montreal, graduating with a BSc (electrical engineering) in 1971. Pierre continued his education by earning an MBA at the University of Utah in 1973. He has also earned the qualification as a Professional Engineer in Ontario in 1976, and a Chartered Financial Analyst from the University of Virginia in 1984. He has received several Honorary Doctorate Degrees, including those from the University of Toronto (2001), the University of Montreal (2002), University of Utah (2006) and Ryerson University (2006). These are remarkable words said by a remarkable man. There is little doubt that Pierre Lassonde is a person deserving to become a recipient of the MMSA Gold Medal for his outstanding achievements in the mining industry and his philanthropy. mining, minerals and their uses, related environmental issues and government policies.